The cost of living in San Francisco is one of the highest in the United States. If average residents can barely survive, imagine what life is like for the city’s homeless. 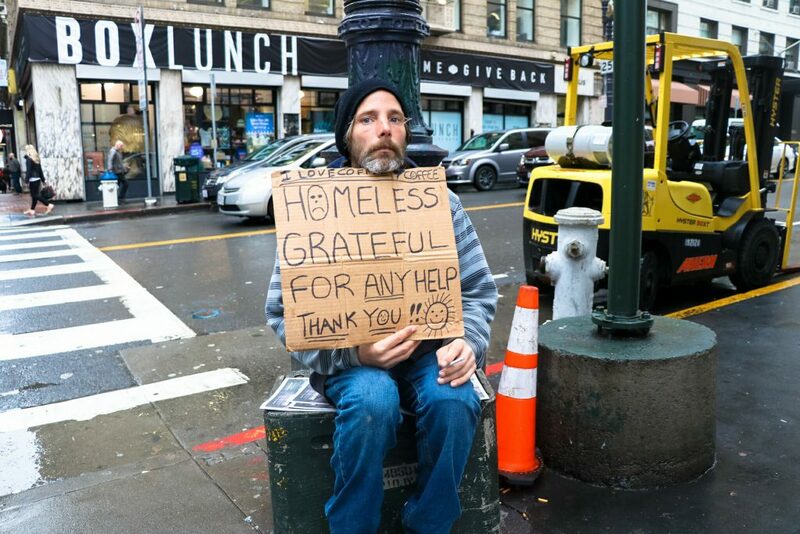 There are more than 7,500 homeless people living in this expensive U.S. city. It’s unimaginable that the state hasn’t done anything substantial to lessen this problem so communities have to step up. One group of concerned San Francisco locals decided to help some of the homeless by collaborating with two local churches. 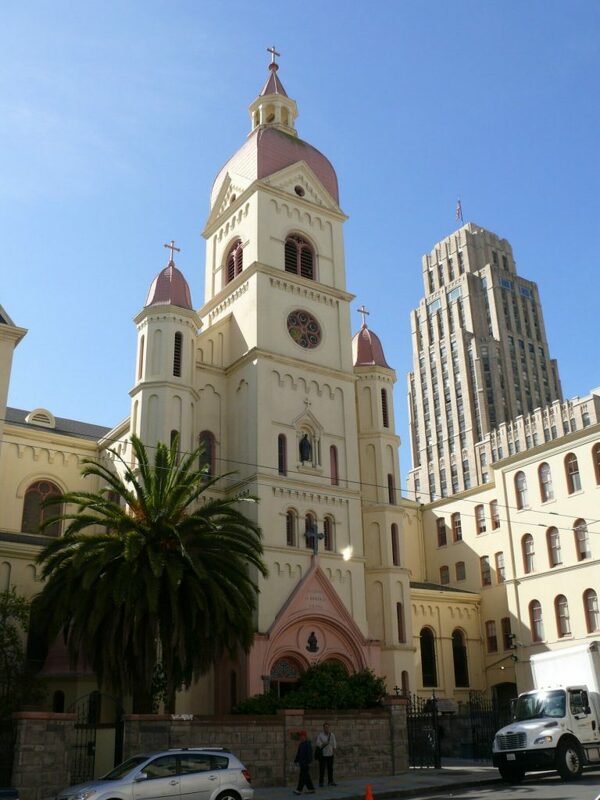 The Gubbio Project has tapped the Saint John’s Apostolical Church, located at the Mission District, and the St. Boniface Church, found at the Tenderloin District in San Francisco, to open their doors to accommodate the homeless. So, between the hours of 6 a.m. to 3 p.m., these churches serve as safe havens and sanctuary for an average of 225 homeless people every day. Here, men and women who have no place to stay can seek shelter and warmth, and more importantly, sleep and rest well without any questions asked or sign-in requirements. The churches are also quite accessible to homeless people suffering from disabilities, chronic pain and old age. While there, the special guests will also be given care gifts like socks, blankets and hygiene items. Homeless people who come to these churches are also given referrals for other services they need, such as medical care and massages. And if they want to speak to the chaplain, the churches could arrange for this, too. The Gubbio Project decided to make this their cause because sleep is a critical issue for many. It’s vital to anyone’s physical, emotional and mental health. But the homeless are so sleep deprived because they don’t have decent space. Hence, The Gubbio Project want to provide these people with a place where they can get a good rest so that they won’t suffer from an ailment. Rev. Loui Vitale founded The Gubbio Project in 2004. He named this after the city of Gubbio in Italy. A legend goes that once upon a time, locals in Gubbio befriended a vicious killer who was, in fact, just hungry and yearning to rest. 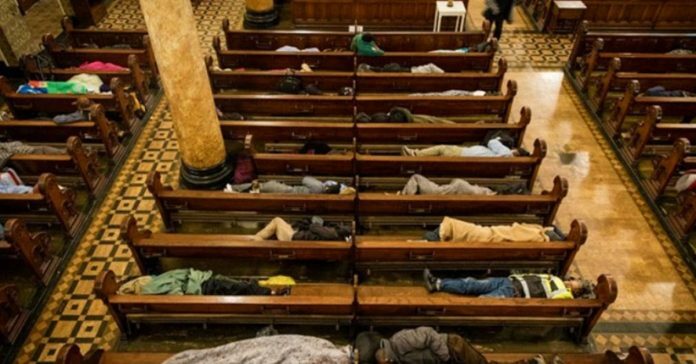 When the churches started opening its doors to the homeless, it had about 54 visitors every day. 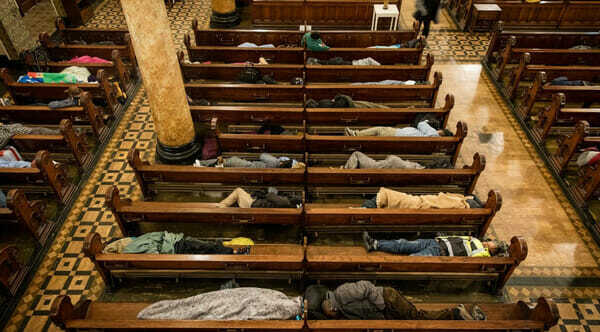 Now, the hundreds of pews inside these places of worship are usually filled with sleeping dwellers. Churches, especially those run and managed by rich clergy and foundations, often get a bad rap for not doing enough to help the needy. But these two notable institutions in San Francisco are definitely practicing what they preach. Masses and other services, by the way, still take place in these churches even as two-thirds of the venue is for the Gubbio Project. In fact, at noontime, people still come to hear mass and most are usually unmindful of the special guests sleeping at the back. The Gubbio Project sends as a great reminder that the house of worship is for everyone, especially the poor and dirty, the tired and sick, the wet and cold, and even those suffering from mental problems.